Pages 13-14 are taking a lot longer than I thought so I thought I would make the wait a little easier by sharing the completed inks with you now. I’m try my best to multitask between drawing new pages and inking/coloring the pages for the website and I’ve currently got pages 15 and 16 drawn while I ink/color pages 13-14. If you want to see a larger version of the today’s page you can click here. 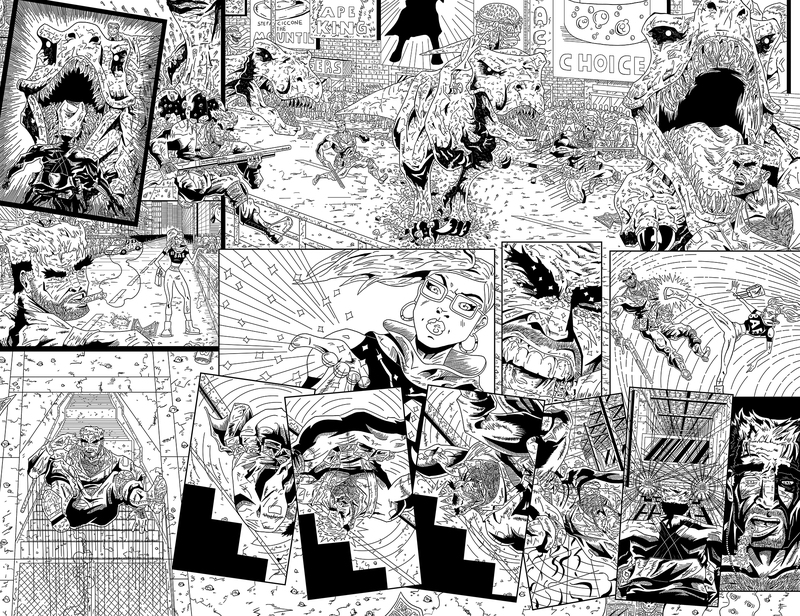 This is the second GIANT two page spread for Mission 010 and I’m having a great time pushing my skills to the max to make sure they are worthy of being in the 10th issue of Team Stryker. For those of you patiently waiting for the website to update, thank you for being understanding. It’s hard work having a full time career outside of Team Stryker and trying to put out a book of this quality by myself. I feel like each issue takes me longer and longer to get out but hopefully your seeing an increase in quality along side it. I don’t want to cut any corners and want Team Stryker to be one of the best comics on the internet or anywhere else! I’ll continue to update the website as soon as I pages 13-14 completed. Until then you can find all my previews and news on Facebook, Twitter and Instagram @TSComic.